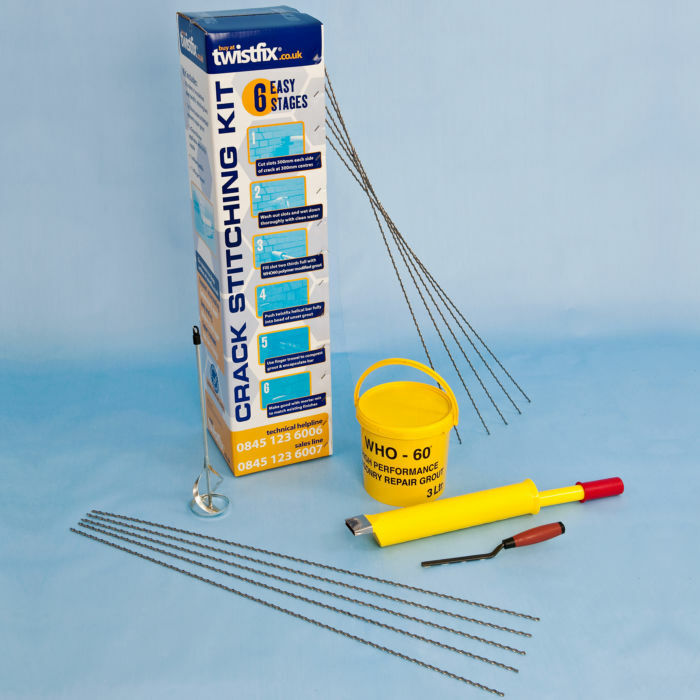 Twistfix boxed crack stitching kits offer a high strength, non-disruptive solution for the permanent repair of cracked masonry walls. The box contains all the necessary components to repair vertical or step cracks in masonry. 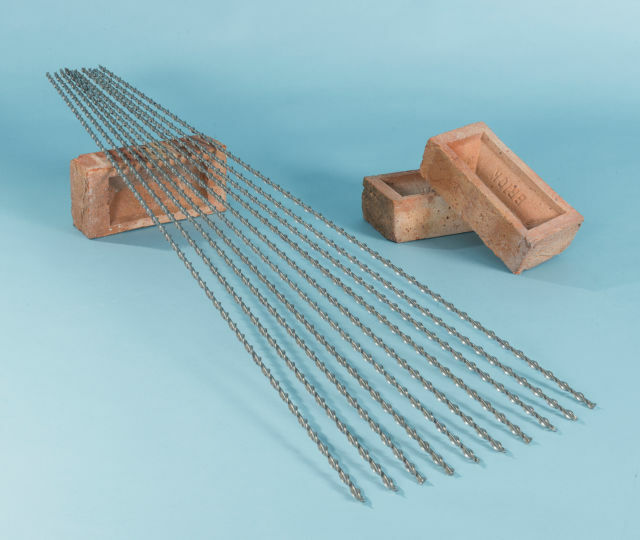 Experts in the remedial market have designed the kits contents, guaranteeing the correct specification and compatibility of helical reinforcing bar, grout and installation tools required for this application. 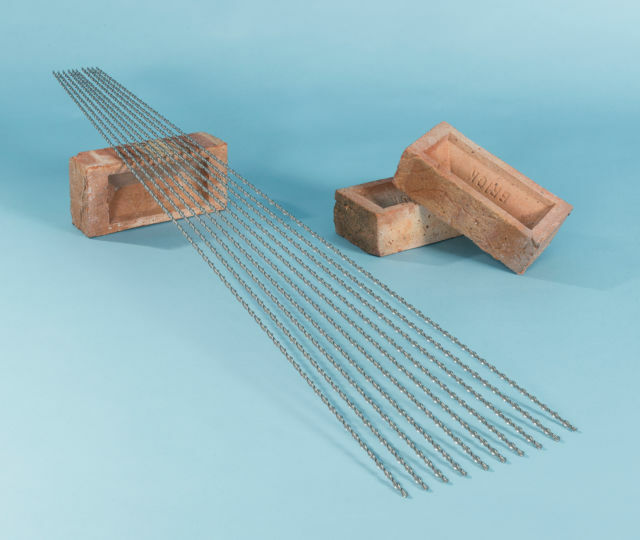 Stainless steel helical bars are bonded into horizontal slots, cut in bed joints, which stitch across the crack. When installed, these bars evenly redistribute tensile forces over the reinforced area to stabilise the structure. On completion, the bars and the grout are concealed, retaining the original character of the wall.